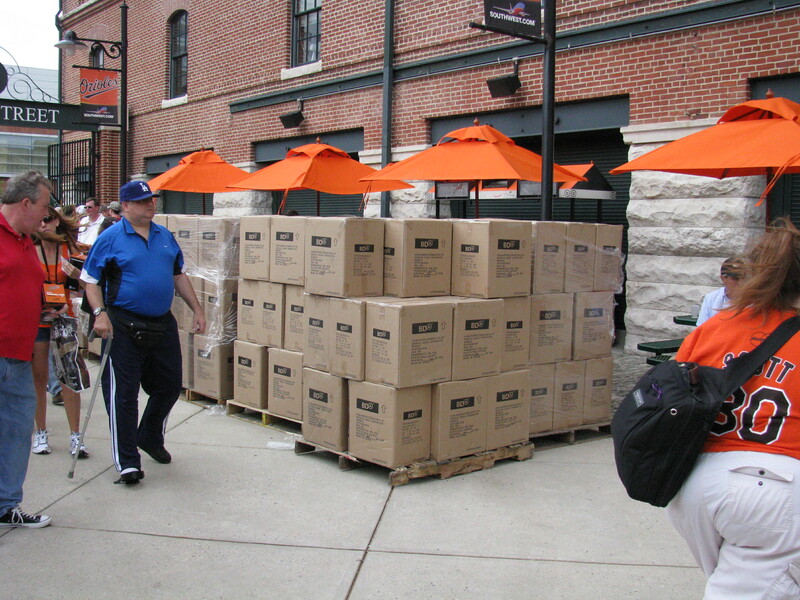 Hints – Only 50,000 copies of this 10-card set were made. It came with a Certificate of Limited Edition from Barry Bookman and Steve Kerby. If this doesn’t scream pop-culture, I don’t know what will. 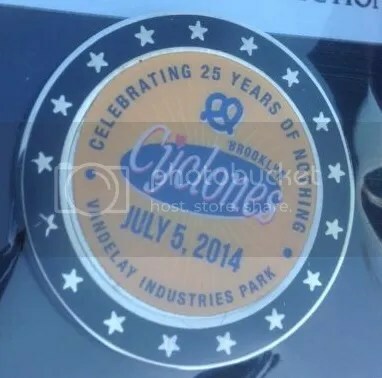 On 7/5/14, the Brooklyn Cyclones (Short-Season A affiliate of the New York Mets) celebrated the 25th anniversary of the show Seinfeld. 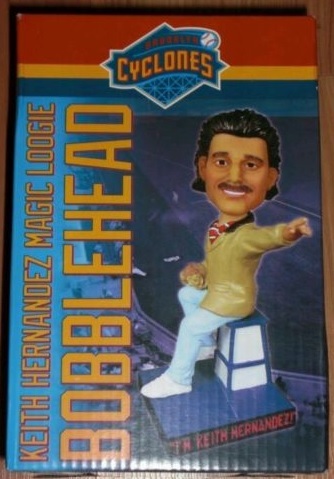 Attendees to the game received a Keith Hernandez “Magic Loogie” bobblehead. 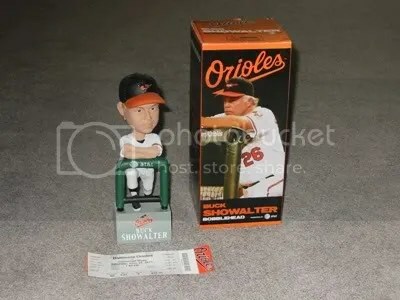 In case you’ve never seen the show, Hernandez appeared in an episode or two in the winter of 1992. In addition to the bobblehead, the Cyclones also produced this pin that could only be purchased during that specific game. It features the Cyclones name designed to look like the Seinfeld logo. The pin even contains the name “Vandelay Industries Park”. The Cyclones actually play in MCU Park, but Vandelay Industries fits this pin well as it was the fictional company made up by George Costanza. This pin makes a great addition to any baseball pin or Seinfeld collection. 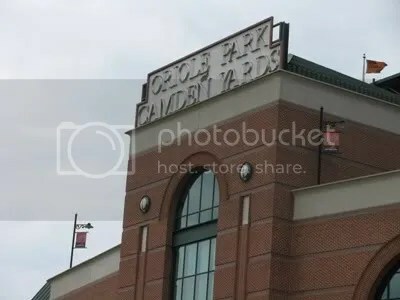 Fans can find them for $20.00. 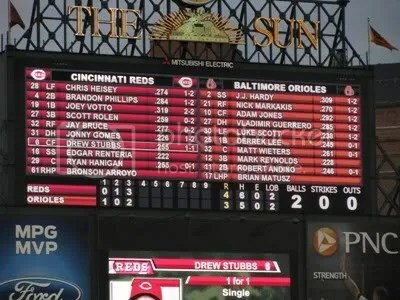 Last night the Orioles and Reds put on a show. A combined 9 home runs were hit, the second most in Camden Yards history. The Orioles lost 10-5. I have never seen such a display of power between two teams before. 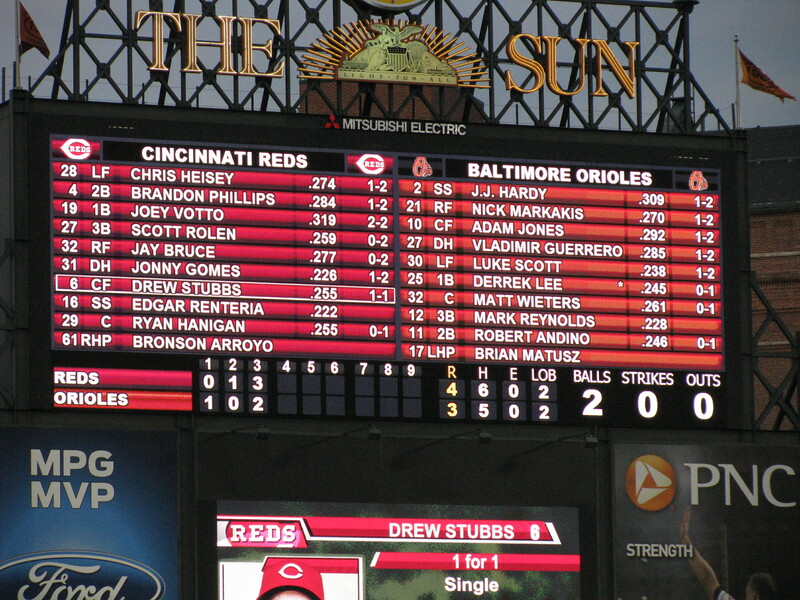 It was fun to see Scott Rolen again in-person. I met Rolen many years ago at the first card show I attended. 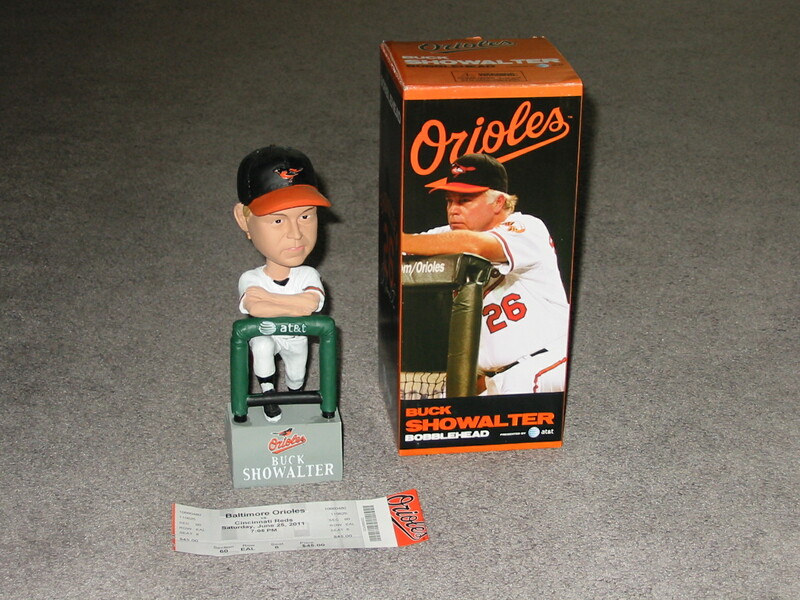 At the time, he was just a prospect making his way up to the Phillies. 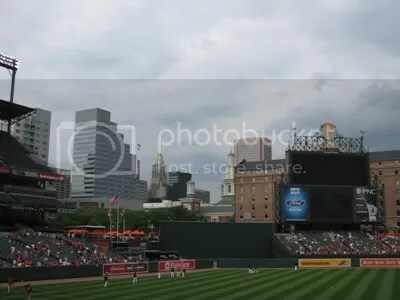 In the 7th, he belted a two-run homer. 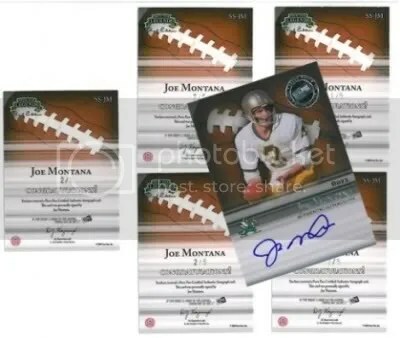 Press Pass announced today of a production error that has occurred with the Semester Signature Onyx autographed cards of Joe Montana that can be found in ’09 Fusion. It appears that four of the five cards are each numbered “2/5”. Having that many cards each numbered the same would speculate that someone would be faking them if you saw the same card up for sale over and over again. Press Pass has stated that they will provide each collector who has this card with a letter documenting that it is a true error made by the manufacturer just in case the owner decides to sell the card in the future. There are only five copies of this card. Lets hope that letter has some security on it, because anyone can print out a letter. I think this year’s Bowman Sterling design is my favorite. 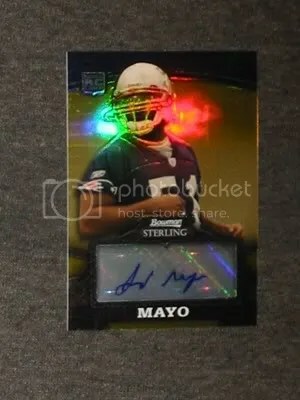 The best hit in the pack was the Mayo auto. For a defensive player, he seems to be really popular.